Teaching first graders can be fun but it can also get challenging most especially that they are in the stage where their developmental needs should be attended to. This is why you would be needing the use of plans, such as lesson plans, that can help you in determining the right strategies that are suitable for their capacity to learn. The use of lesson plan also allows you to easily classify the learning outcomes of your first graders, provide a definite structure that enables essential learning, and makes you a well-prepared educator who can confidently answer the questions posed by naturally curious first graders. By having a first-grade lesson plan, teaching first graders will get less challenging and will now become more rewarding. 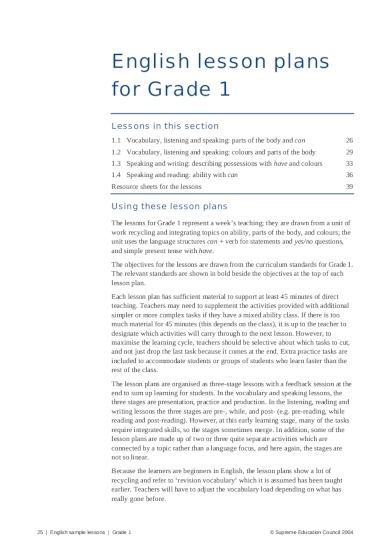 With that, here are some examples and templates of first-grade lesson plans that you can certainly make use of. Are you an English teacher for first graders? Worry not for we have provided a first-grade lesson plan that is designed to fit the developmental standards of 6–7-year-olds. Through this English lesson plan, you can ensure an enjoyable and creative learning experience for your young learners while still making sure that they have understood the future impact of what they are learning. There are some children who would think that learning English is just an ordinary activity in their average days but through this lesson plan, you will be able to make them realize that learning English can also be of great help in their future advanced language course and eventually when they would become adults. Teaching first graders on how to care for the environment is perhaps one of the best learning experiences that they can certainly benefit from when they grow up. 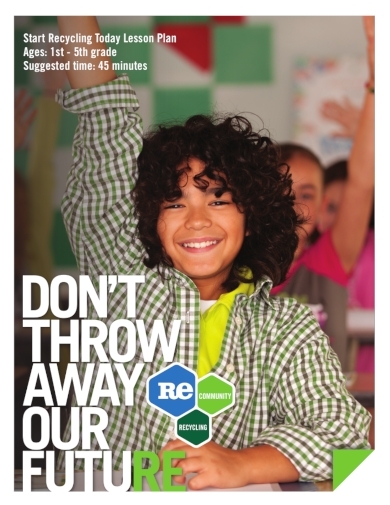 Through this lesson plan, you will be able to introduce to first graders one realistic and doable way for them to be able to care for the environment at their age, which is recycling. This lesson plan contains activities and discussions that teach them the right skills particularly in respect, empathy, and responsibility as stewards of the environment. The best thing about teaching young children how to recycle is that you are basically teaching them how to ensure that they have a cleaner and bright future ahead of them and for the rest of the generations to come. 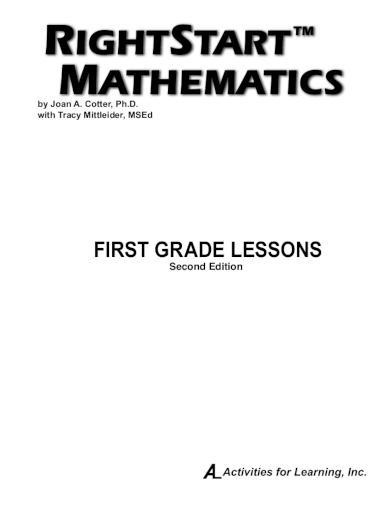 It is in first grade that children have to develop their foundational mathematical skills. However, it cannot be avoided that there will still be some pupils who will be slow at learning even the most basic skill, which is adding numbers. For you to be able to easily consider the capabilities of every pupil, you may make use of this first grade math lesson plan that makes sure that you would not go too fast for children who still need more time to learn the skill and also makes sure that you are not going too slow for those who are already adept at it. Through this lesson plan, you will be teaching them the basics of math using a careful and sure step-by-step process that ensures that your pupils will gain a solid understanding of numbers before learning further concepts. Through this first-grade lesson plan, you can easily introduce your first graders the importance of money management. 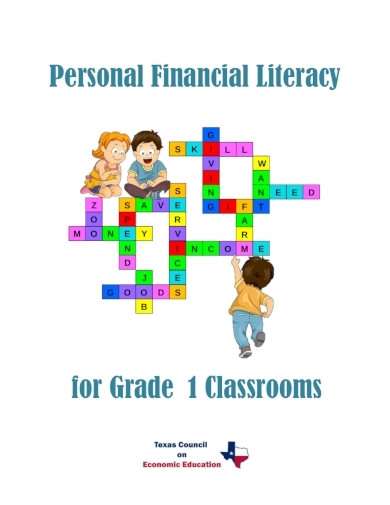 Financially literate children make up financially literate adults in the future and this makes financial literacy as a critical skill that one must learn even as a first grader. No one is too young to learn and be capable enough of learning even the most simple spending, saving, and sharing plans or even just basic personal budgeting skills. By providing early financial management training to young children, you also train them to have responsible money-management behavior when they grow up and you also give them the chance to have realistic and doable financial goals that their future selves will surely be grateful for in the future. Young children have a natural curiosity, particularly about the things that surround them. This makes teaching science as a fun and rewarding role or responsibility you could ever have especially if you are a science teacher. However, there are still some cases when teachers would still have a difficulty particularly in creating an engaging and enthusiastic science learning experience. 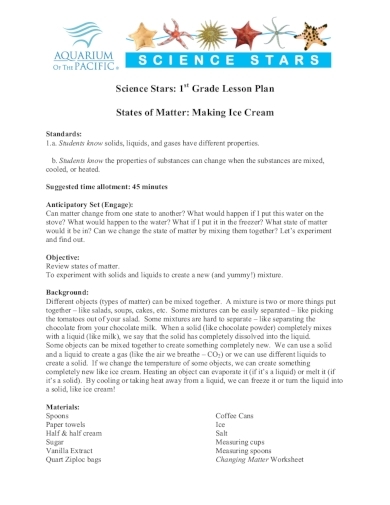 But, lucky for you, we have provided this first-grade lesson plan that makes it possible for you to teach basic science concepts and provide science activities that will surely help in creating an active learning environment that will also further encourage young learners to freely explore their young, curious minds. First grade should be an exciting time for young children as they are moving past the basics of kindergarten. First grade is the first step of a whole new world which is primary or elementary school where they get to be introduced to more knowledge, concepts, and insights on reading, writing, science, social studies, mathematics, and more. We hope that with the help of the daily lesson plan templates and examples provided in this article, you will be able to effectively teach young learned in the best way possible.